Legislation recently proposed – and defeated – in Illinois’ General Assembly would have allowed offenders with four or five DUI convictions to get back behind the wheel in that state. Currently in Illinois and many other states, drivers with four DUI convictions lose their driver’s licenses permanently. In California, a fourth DWI charge within ten years is automatically a felony charge; those convicted will typically serve 16-to-48 months in prison, pay up to a $1,000 fine, and face a 4-year driver’s license revocation. If you’re charged with DUI anywhere in southern California – whether it’s a first offense or a repeat offense – obtain legal help immediately and contact an experienced Orange County DWI defense attorney. Illinois Representative Elaine Nekritz introduced a “redemption” bill in the Illinois Assembly that would allow repeat DWI offenders to obtain limited driving permits for transportation to and from work. She reasoned that enabling offenders to work is an important part of helping them get their lives “on track.” Guidelines would restrict the permits only to offenders who can offer evidence that they are improving their lives. Permit applicants would have to endure a 5-year waiting period with no legal troubles, successfully complete rehabilitation, and submit an appeal to Illinois’ secretary of state. In every state, lawmakers struggle to balance public safety with the desire to return rehabilitated offenders to mainstream society. The legislation Nekritz offered was defeated by Illinois lawmakers, but it’s sure to be introduced in other states. In California, a fourth or fifth DWI in ten years is a felony, and if you are convicted, you will almost certainly be looking at some jail time. 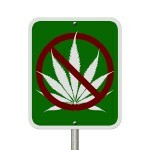 But even a first offense in California can be prosecuted aggressively and punished harshly. 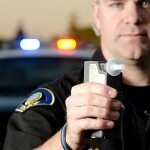 DWI is a serious charge that should always be discussed with a good DWI defense lawyer. 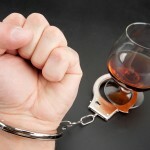 If you are charged with any DUI violation in southern California – now or in the future – contact an experienced Orange County DUI defense attorney immediately.